Their forward-looking view on this major source of strength of Sarasota homes for sale was validated in a recent analysis by the Milken Institute. This Sta. Monica, California-based non-profit, non-partisan think tank ranked our region as No. 6 amongst its 2017 index of best-performing cities in the U.S. Published annually since 1999, this recently released index uses nine fact-based metrics in evaluating the relative growth of the country’s metro areas. These benchmarks include growth in wages and salaries, job creation, and technology output. Also measured are the metros’ concentrations of high-tech fields as compared with the national average. 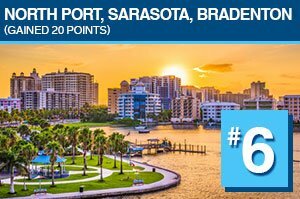 What’s quite significant about the Sarasota region’s 2017 ranking is that it jumped 20 rungs from its 26th standing in the 2016 Milken index. This dramatic leap notably topped all other metros in the entire U.S. Overall, six metro areas in Florida were included in the top 25 best performers in the Milken Institute’s 2018 index. Besides our region, the Florida top-listers include Orlando-Kissimet-Sanford (No. 7), West Palm Beach-Boca Raton-Delray Beach (No. 12), Tampa-St. Petersburg-Clearwater (No. 15), Naples-Immokalee-Marco Island (No. 18), and Ford Lauderdale-Pompano Beach-Deerfield Beach (No. 21). Also posting double-digit index jumps in the Florida regions besides the Sarasota metro are its counterparts in West Palm and Tampa. The Milken index report said the top-performing U.S. metros are equipped with strategies allowing them to effectively leverage their assets. For the Sarasota metro, it cited the recent growth of the region’s high-tech industry output, a signal of some success in the drive to diversify our area’s industry profile and to make the local economy more resilient and less dependent on tourism and influx of retirees. 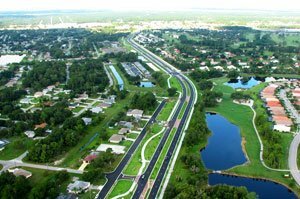 Singled out in the Milken report was the city of North Port which has invested $1 billion in infrastructure during the last 10 years. One business development just this January further validates the Sarasota region’s growing economic diversity. In a $500 million deal announced this month, the Sarasota-founded Start2Star Communications has merged with the Irish company Blueface which also provides businesses worldwide with Internet-protocol communications systems. Their merger creates a new company called StarBlue which will have its headquarters in Sarasota. But what’s even more significant with the merger is that it has positioned itself amongst the top five global providers in the fast-growing unified communications market. Start2Star, which was founded in 2006, will retain its existing trade name in the U.S. markets. The same holds true for Blueface which is based in Dublin, Ireland, and has broad presence in the European markets as well as in the Middle East and Africa. Their merged company has a total workforce of 500 with over 300 employees posted at the Start2Star offices at the vibrant Tallevast Road corridor near the Sarasota-Bradenton International Airport (SRQ). In a separate development, a New York-based investor, Lee Rosner, recently bought for $10.4 million the Airport Commerce Center on Tallevast Road corner 15th Street East also close to the SRQ. Rosner plans a series of capital expenditures for this acquisition, another indication of the rich potential for economic prosperity in our region that consequently bodes good fortunes the homes for sale in Sarasota as well as in Bradenton.